Quarterly results from networking giant Cisco Systems just crossed the wires, and they’re above expectations. Cisco shares are moving up slightly after hours. Cisco reported earnings of 51 cents per share on revenue of $12.1 billion. The results beat the consensus expectation of Wall Street analysts surveyed by Thomson Financial of 48 cents on sales of $12.06 billion. I’ll have more as I get a closer look at the numbers. “Cisco delivered record earnings per share this quarter and record revenue for the 8th quarter in a row in a challenging economic environment. We continue to drive the innovation, quality and leadership our customers expect, and we remain focused on consistent returns to our shareholders,” said John Chambers, Cisco chairman and chief executive officer. 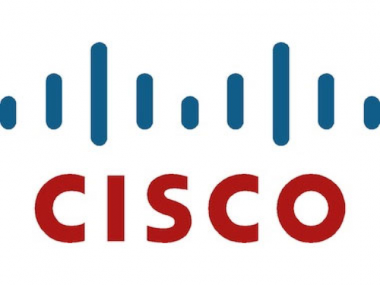 Belkin announced its intent to acquire Cisco’s Linksys product line. Cisco unveiled its new “Internet of Everything” global integrated marketing campaign, with a message that connecting people, process, data and things will make the network more valuable than ever.